It was during the 1974-1975 school year, which happened to be my senior year at Lincoln Christian College. On two different occasions, I had the opportunity to travel with Tom Ewald, one of my beloved professors, to attend lectureships in psychology and counseling. On this occasion, we made the short trip to Illinois State University to hear Dr. Albert Ellis. He is the founder of Rational Emotive Behavior Therapy (REBT). Though a beautiful sunny day, the winds were coming from the north. This meant, in northern Illinois, that it was cool. I was still surprised to see the lecturer come on stage in faded dress slacks and a flannel shirt. Additionally, he sat for most of the lecture on a wooden stool, nibbling from time to time to appease his diabetes. But what he shared impressed me significantly. During our recent move I found a note card from that adventure. The words of Dr. Ellis reminded me that I have the ability to reflect not only on what I have done or thought in the past, but also on what I am doing and thinking in the present. He doesn’t stop with just our thinking. We are given the example of Christ – as portrayed in the beautiful hymn of Philippians 2:1-11 – to be humble and servant minded. He also sets himself up as an example: “Brothers, join in imitating me, and keep your eyes on those who walk according to the example you have in us” (3:17). Once again, it is not a matter of choice; [you all] “practice these things” is a command (2nd person, plural, imperative). 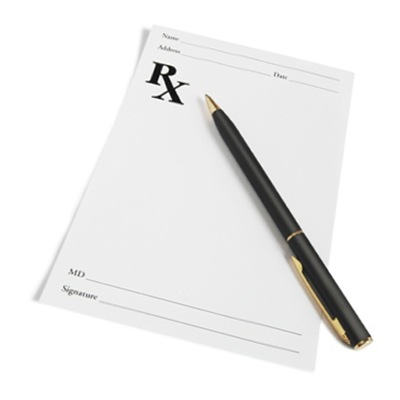 So let me ask you, “What are you thinking about… and why?” The prescription (Rx) – Philippians 4:8-9. Where do you find renewal? What is the foundation for your hope on a daily basis? How do you manage to get through each day with all that is going on in our world? I find comfort, encouragement, and a prescription for renewal in the words of Paul to the Christians at Philippi. One should not underestimate the importance of hope. Few writers inspire me more than Dostoevsky. His life story brings credibility to his prescription for life, “To live without Hope is to Cease to live.” Or maybe you can identify with Victor Frankl’s prescription, who in Man’s Search for Meaning wrote “Those who have a ‘why’ to live, can bear with almost any ‘how’.” The comfort I find in the words of Paul is that, regardless of the result of the political conundrum we are facing, as Christians “our citizenship is in heaven.” My salvation has nothing to do with the political process, nor does any aspect of my hope. Paul reminds us that our Savior – who is also our Lord – is none other than Jesus Christ. Our transformation/renewal will come from him and his power. Did you notice that he also provides a prescription for renewal? First, we are to imitate Paul and other gifted, spiritual leaders who have demonstrated (“walk according to the example“) their integrity. This is not the only time, nor is Paul the only New Testament writer who encourages us to imitate faithful leaders (cf. 1 Corinthians 4:16; 1 Thessalonians 1:6; Hebrews 6:12, 13:7; and 3 John 11). Second, our ‘minds’ are not to be occupied with earthly things and our gods should not be our sensual, hedonistic desires (belly). In no way does this mean that we are not to be responsible citizens. As somebody once said, “We should never be so heavenly minded that we are no earthly good.” Paul commanded the Christians at Rome to “be subject to the governing authorities” at a time when things were not all that good for the Christians. And that is the main ingredient in my prescription for daily renewal!